Through my business, Organic Fabric Company, I had the pleasure of meeting a very fascinating and resilient woman named Amanda. Somewhat like myself (and countless others) she began a journey of healing after her body screamed for help while seemingly breaking down. Her arch-nemesis--mold. We've been in contact now somewhere around a year (if my memory serves me right) and watching her adventures through her Instagram feed and her blog has been amazing! She allowed me to interview her about her switch from conventional living to tiny living as her family moved into a renovated Airstream! Read on and be inspired! Disclaimer: I am a participant in the Amazon Services LLC Associates Program, an affiliate advertising program designed to provide a means for me to earn fees by linking to Amazon.com and affiliated sites. This does not affect your purchase price in anyway. Gaby: Hi Amanda! Thank you so much for this interview! I'm so excited to learn more about your living! Tell me a little about yourself and your family. 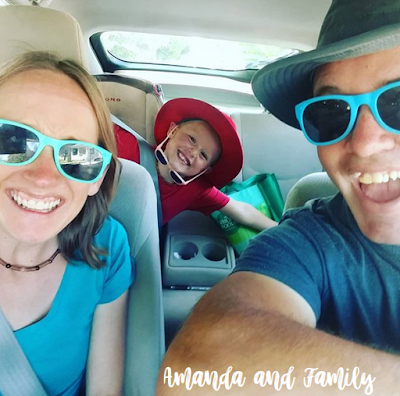 Amanda: We're a family of three that just relocated from Colorado to Northern Washington. I homeschool my son with a Charlotte Mason approach and work full-time as a Virtual Assistant. My hubby works at Whole Foods. 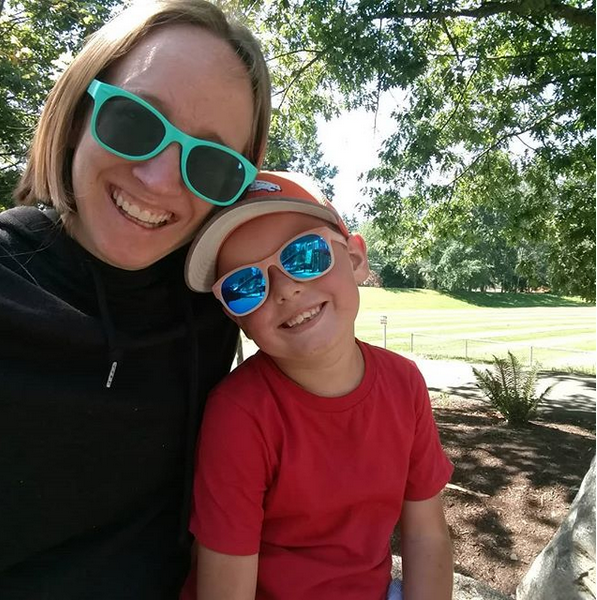 In our spare time, we love getting out into nature and spending time with our many family members that live here in the PNW also. 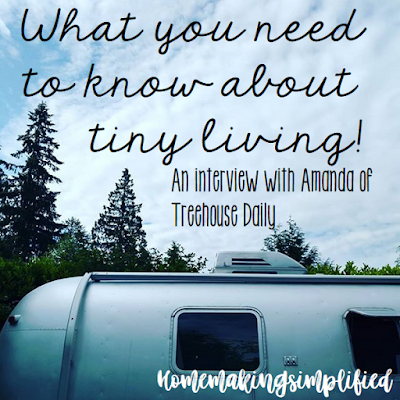 Gaby: What made you decide on tiny living? 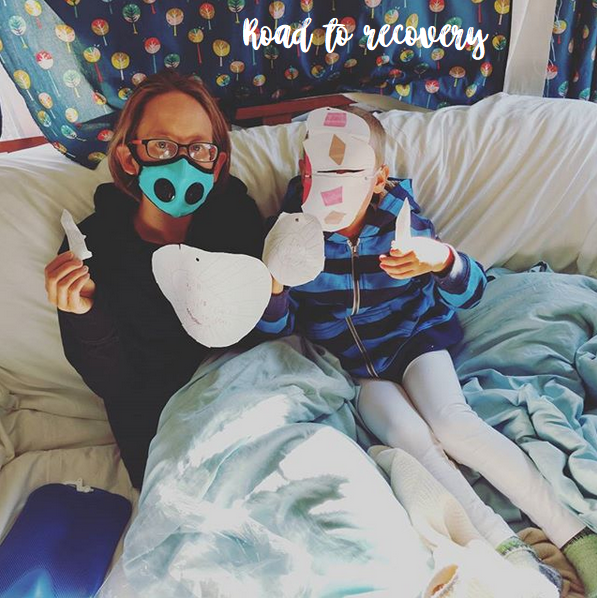 Amanda: It's a very, very long story that I've shared more of on my blog- to make it short- In 2013 we found ourselves living in a really poorly maintained rental house. The house itself was only 650 sq. ft., but the heat didn't work well. So in the winter, we ended up all moving into the living room and just living out of the living room and kitchen for about 4 months, which was approximately 300 sq ft.
We had always talked about building a tiny cabin in the woods to live in, even before tiny houses were really a "thing." 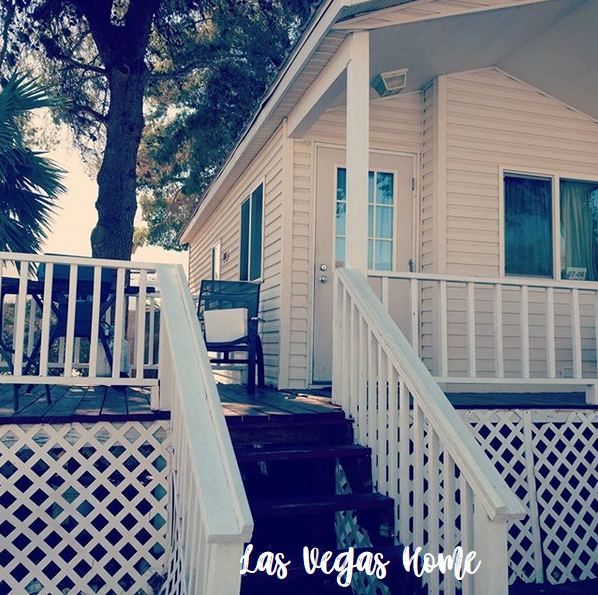 Our family prefers and simpler way of life and we're pretty minimalist in our belongings--we'd rather spend money on travel than on things. Plus, we're doing the Dave Ramsey thing to get out of debt and we wanted a lower cost of living. We realized after that experience we could live small. We found our Airstream in 2016 and renovated it and moved in on September 25, 2017. Gaby: What have been your greatest challenges? Amanda: Finding places to park over the summer. Our long-term parking spot in Colorado fell through. We didn't think it would be hard to find a place to stay. Colorado, and many other states, has instituted strict rules and it's getting increasingly difficult to live legally on someone else's property. 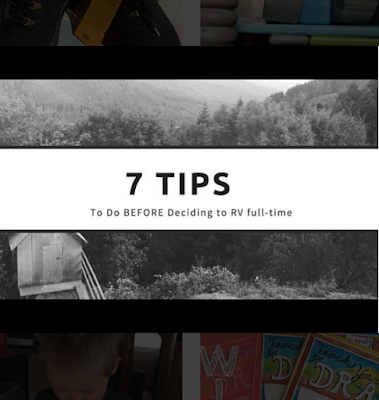 The popularity of full-time RV and tiny house living has risen so drastically that many campgrounds have strict time frames too--some even only allow you 2 weeks in an entire calendar year! Since we have to be stationary for my husband's job, we did a lot of campground hopping in Colorado before we moved out here. It's something we're hearing is an increasing problem among other full-time RVers, many of whom have been it this way of life for years and never had a hard time finding spots until this year. Gaby: What’s been the most rewarding aspect of your lifestyle? Amanda: The conversations and relationships it has opened up for us, and the bond it has brought us together. 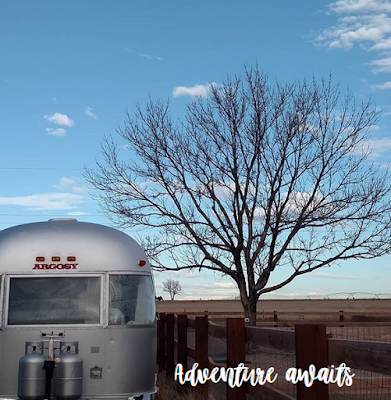 "We live in an Airstream travel trailer" is an AMAZING conversation starter--people are fascinated by our way of life. It's been neat to share it with others and to become part of this wonderful community of people embracing alternative housing options. We are also all recovering as a family from toxic mold exposure that we had in our last "regular" home we lived in. 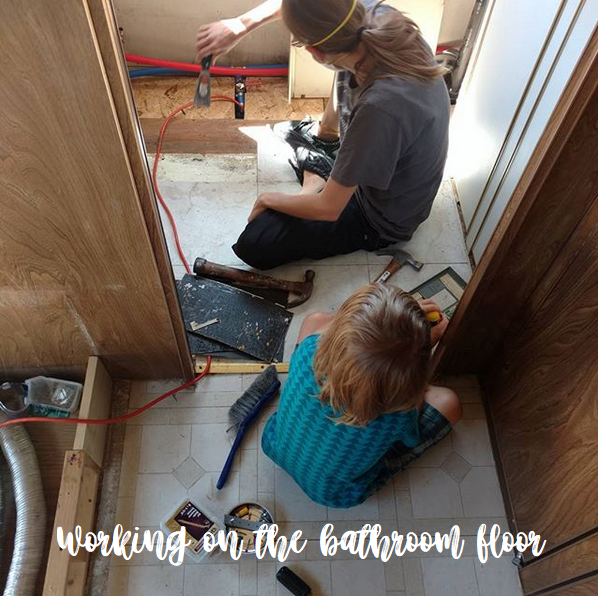 We'd planned on living in the Airstream prior to this issue but many, many people recovering from similar health issues and bio-toxin poisoning live in alternative housing so we're enjoying helping consult others on building a safe space and converting their own living area while recovering from the associated health issues. Gaby: What are some products you can’t live without? Are any of these items things products you didn’t use before living in your Airstream? Amanda: We were really intentional about everything we brought in. 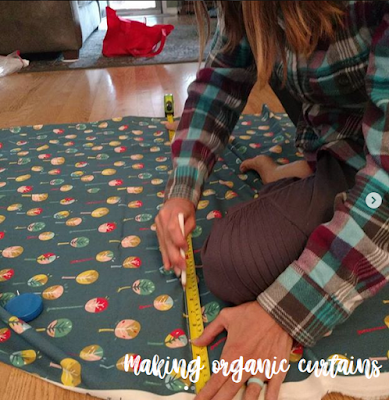 All our textiles are organic and fair trade, even our clothing. We are a totally chemical-free space and try to find the safest products we can. We're also pretty darn minimalist. Something we didn't plan on needing but we can't live without now is the Austin Air-purifier! This was something we didn't have before but man-oh-man what a difference it makes. In such a small space, with windows open almost 24/7- it gets DIRTY and dusty fast! That thing makes a huge difference in keeping our home clean. If we turn it off for a couple days, we regret it. Some things that I love and we incorporated into our new home are: my Berkey water filter, salt lamps, a toaster oven (we don't use a microwave), and our Kindles- we're all avid readers but there's no space to keep books! 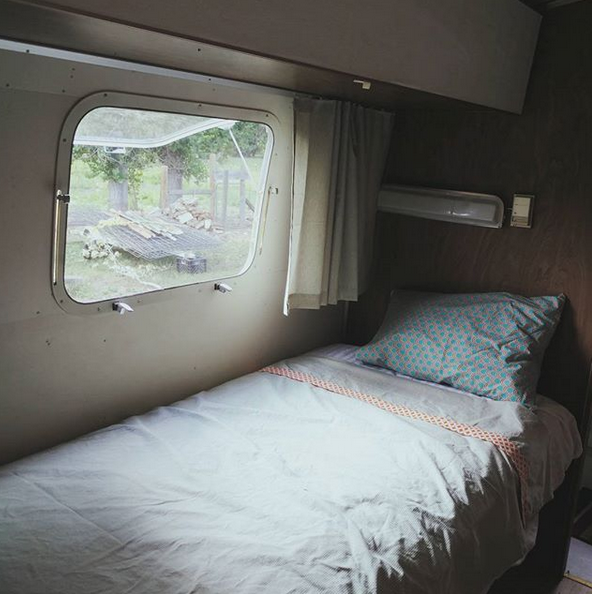 Gaby: What advice can you give other people considering tiny/mobile living? Pack up all your belongings and grab only the very minimal amount of things you really, truly NEED in your home. Close off your home so your entire family is living in 200-400 sq ft- no cheating! 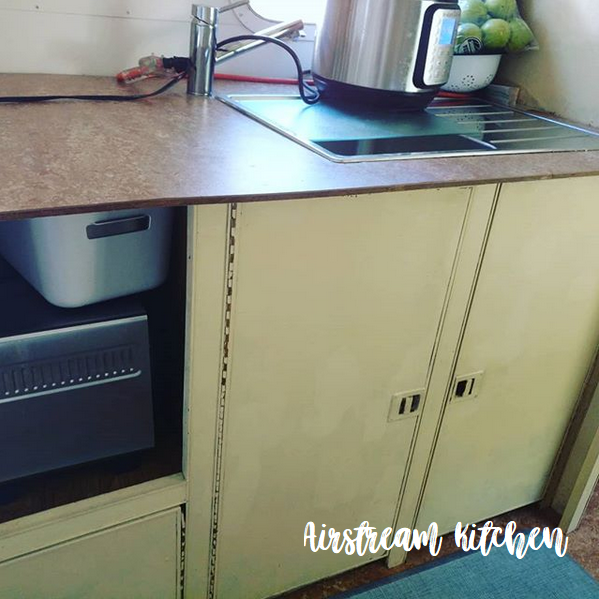 Only use 2 burners on your stove and do all your baking in a toaster oven- RV kitchens are itty bitty! Only have one bathroom available, and if another is needed you have to haul all your stuff to and from it and pay 25 cents a minute for a shower. Wash all your laundry in a laundromat or purchase a small RV washer, a wonder wash or hand-wash. Either use a folding table you have to take up and tear down and every meal, or get a futon that you have to convert every single day- a lot of people get really burned out by having to make their table and/or bed every day. 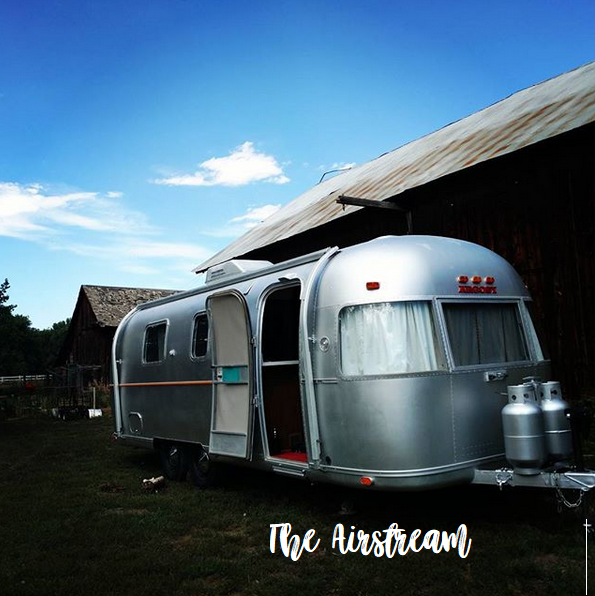 You can learn more about Amanda and her family's Airstream journey through her blog Treehouse Daily and over on Instagram @treehouse.daily!